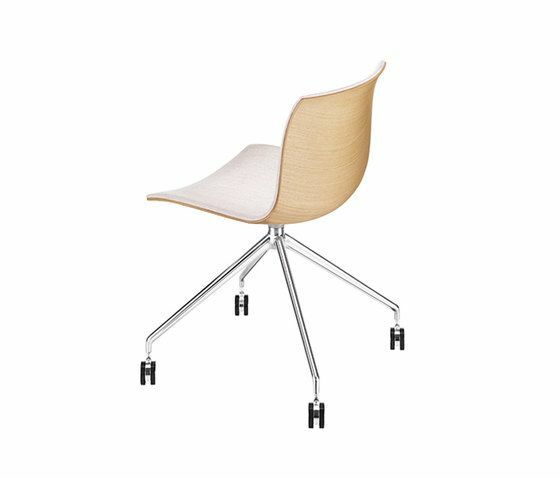 Chair with polished or painted aluminium fixed trestle base mounted on self-braking castors. Double-curved wood shell available in three finishes (natural oak, bleached oak, wengè) with front face upholstered in leather, faux leather, fabric or customer’s fabric. Available steel amrests, also upholstered.